Learn to budget adequate money for your pet: Pets aren’t very expensive but that doesn’t mean that you don’t spend any money at all after them. Make sure you take the pet to the vet regularly: Like human beings, pets also require a regular check-up. This helps them avoid serious health conditions or diseases. You must take the pet to the vet as soon as you adopt it and also discuss about the frequency of check-up of your pet. Also, make sure you ask the vet about the dietary and medical requirements of your pet. Give your pet the food that’s for their nutritional needs: The cheapest food may not necessarily be the healthiest. Thus, make it a point to bring some really nutritious food for your pet. If needed you must do a bit of research on it and bring the right food for your pet. Make your pet do some activities: Do not just bring a pet and keep it in one corner of your house. Make sure you take your pet out for a walk and spend some time with them. This helps them stay active and healthy. Clean your pet regularly and properly: When it comes to health care cleaning is essentially the most important factor. A clean pet is less likely to fall ill. Your pets need to be groomer well. Make sure you make them bath on a regular basis and keep them groomed. If you’re pet is too large you can take them to animal cleaning centers as well. Keep their nails short so that they do not break painfully. Buy special shampoos and soaps for your pet else they could have allergic reactions. Pet dental care: The most neglected yet important part of your pets’ health care is pet dental care. 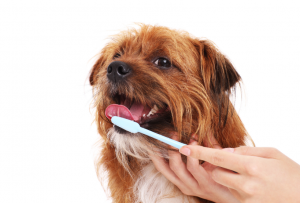 Make sure you make your pets brush regularly and keep a check on their oral health. If you observe symptoms like bad breath, teeth disclosed by tartar, a loose tooth, abnormal chewing or drooling, reduced appetite, mouth ache or swelling in and around the mouth then visit a pets’ dental care as there are high chances that it could lead to some serious health issues. Also, you must take your pet to the vet for periodical dental cleaning. Dogs are easy to deal with when it comes to brushing whereas cats are a bit resistant. Make sure you deal with them patiently. These were some very important pet health care tips. Apart from this, make sure you love your pet enough and spend quality time with them. Give them the attention they want and train them well. For more enquiries regarding your pets’ health care visit specialists in Park Center Animal Clinic. They have a team of extremely talented veterans who’ll provide your pets with the best services. Thus, visit them today if you have any questions or need any help regarding your pets’ well being.